Please select options for SR Performance Throttle Body Spacer (05-10 V6) at the top of this page. Hey I’m Justin with AmericanMuscle.com, here with a quick breakdown of the SR Performance throttle spacer fitting all 2005-2010 V6 Mustangs. 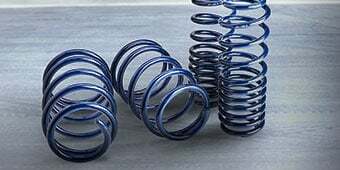 SR Performance is a company that has been earning the attention and respect of a lot of Mustang owners lately thanks to their high quality yet budget friendly performance and suspension components for a wide variety of Mustangs. If you would like to stay up to date with all the latest SR products released for your ride, just click on the banner to subscribe to our YouTube channel if you haven’t done so already. So the idea of spacers originated back in the carborator days when raising that carborator up a little bit would increase the plenum volume, and allow for more even fuel distribution. The idea of the throttle body spacer works off that same principal, by increasing the plenum volume it should equate to a couple more horsepower at the rear wheels. I’m not going to sit here and tell you this throttle body alone is going to gain you an extra 15 horsepower at the rear wheels because honestly it won’t, however, this mod is a great compliment to other bolt ons like your cold air intake kit, and your exhausts, but really shines when forced induction is introduced. 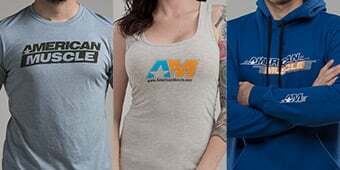 Even way if you want to see what other 4L owners are saying about this product from SR Performance, I encourage you to click on the link below to head back to the product page at AmericanMuscle.com if you’re not there already, this way you can just read a couple of the reviews and see for yourself. The SR Performance throttle body spacer is designed specifically to work with your factory throttle body, and is made from 100% solid billet aluminum. It does of course come with all the hardware and gaskets needed for the installation, and best of all does not require a tune. Speaking of installation, this is definitely going to be one of the easier installs to tackle, you will need to remove the factory throttle body first, install your spacer to your intake manifold, and then go ahead and install your throttle body to the spacer itself. We do call this one about an hour here on the site but don’t be surprised if you get it done a little faster. Either way if you should have any questions or concerns about the product itself, or about the actual install, you can always give us a call or shoot us an email. 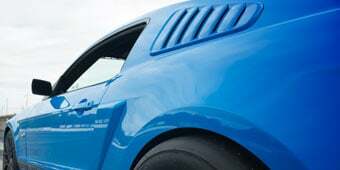 So if you’re looking for an inexpensive, easy to install part that’s only going to help your performance as more mods are added, then you have to check out SR Performance’s throttle body spacer available right here at AmericanMuscle.com. Improve Engine Performance. Unleash your V6 Mustangs hidden power with a SR Performance Throttle Body Spacer. The SR Performance throttle body spacer increases plenum volume to improve the low to mid range torque from your Mustang's stock 4.0L engine, with noticeable gains seen between 800 to 2500 RPM. Better Fuel Economy. The SR Performance Throttle Body Spacer not only improves the performance of your Mustang, but with its unique “Spiral Bore” design it also improves fuel efficiency. The Spiral Bore "spins" the incoming air for improved atomization of the air fuel mixture for better combustion. Billet Aluminum Construction. CNC machined from high quality billet aluminum the SR Performance Throttle Body Spacer includes all the necessary hardware required for a simple straightforward bolt-on installation. Application. The SR Performance Throttle Body Spacer is specifically designed to fit the 2005-2010 4.0L V6 Mustangs with a factory throttle body installed. No tune required. Nope, this spacer alone, or in combination with a CAI that does not need a tune, will not require a tune. Truthfully... no. no tune required. Unconsciously, YES yo NEED a tune! your parts dont neeeed. but you do. If you want the most out of your parts. the tune will set you up for any current/future you could ever think of. Just buy a bama sct tuner and get free tunes for life. 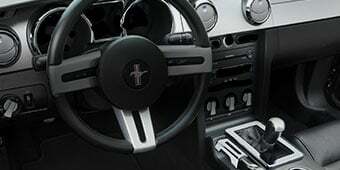 so what ever mod you think of and put on, email bama or AM and send in a tune request with what ever mod you just got and BOOM a tune specifically for YOUR car with tunes written for YOUR mods. this is the only way for your car to dig its deepest and lay out all the gains. They are a bit pricey, BUT, worth it. Trust me. No, it won't require a tune although it would add another 10 ish horses and ft lbs of torque if you did get it tuned. It is not a requirement though. 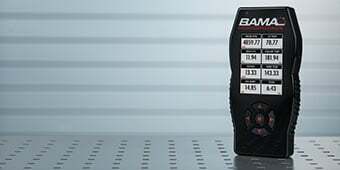 Will this TBS work if I upgrade my TB to either the SR or BBK 70mm throttle body? The SR Performance Throttle Body Spacer is designed to work with the stock throttle body only. It may work in combination with other throttle bodies, however, due to the size increase of the throttle body valve, it may cause issues because of clearances with the spacer. This is specifically designed to work with the stock throttle body, it is not designed to work with after market throttle bodies. 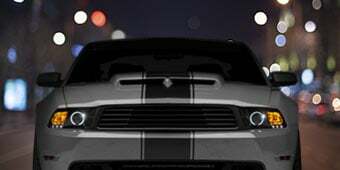 For tuning questions I suggest contacting the American Muscle Tuning Expert customer service line and they can help walk you through or troubleshoot the process for you. I put the throttle body spacer on my 06 Mustang and when I drive the car at 1700 rpm to 2500 rpm the vehicle is whistling. Is there any way to get rid of that whistle noise? At first I didn't mind it but now its getting annoying. I tried flipping the spacer the other side and the sound was still there. What side does the freaking gasket go? on the intake side or the Throttle body side? A set of instructions would be nice. As long as you are using this throttle body spacer with the factory throttle body, you should have no issues using in conjunction with an aftermarket cold air intake. Anytime doing a throttle body spacer you will need the factory throttle body for the proper installation. The spacers will not work on any aftermarket throttle body. The biggest difference in the throttle body spacers is the thickness of the Airaid spacer. 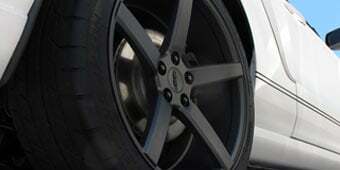 Since both have similar vortex deisgns, both will gain you similar horsepower and torque numbers. Hi, This throttle body spacer should not set off a check engine light. Yes, since you are just adding this to your stock throttle body you will be fine. 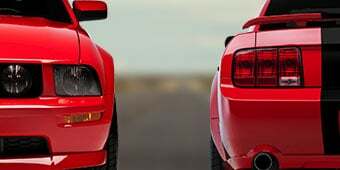 The SR Performance Throttle Body Spacer will produce a lower yield for stock or lightly modified Mustangs, and it may not be noticeable in the driver seat, however, for mildly to heavily modified Mustang, you can expect a slight notice. You should be able to disconnect or pop off a clip that is a little further down the wires that will release enough slack to make the connection. Yes, the SR Performance Throttle Body Spacer (05-10 V6) will work with an automatic V6 Mustang as long as the vehicle has the factory throttle body installed. The SR Performance Throttle Body Spacer is not required when using an aftermarket intake, however, if you have the stock size throttle body, the spacer would be a nice addition for the cold air intake, but again, not required. I just installed the sr Performance throttle body, and mine doesn't whistle...maybe slightly if at all...very good throttle response....I like the way it works....I recommend this product for the money....I noticed that there is a tight fit on the bottom of the throttle body after the spacer is installed, so maybe the whistle is from not getting it tight enough on the bottom. Yeah. You can hear the whistle as you increase the throttle and stops when you let go. Yes most throttle body spacers do whistle. You can hear it loudest between 2500 and 3200 rpm cruising. Cold air intakes may make it whistle a bit louder as well. But it's nothing crazy loud or anything, just background noise. Put a pep on my pony's step. It does exactly what it says it does. Throttle response increased noticed right away. And the whistle isn't as annoying as everyone says. It took about 15 min to install. I don't hear the whistling sound people are talking about. I did feel a better acceleration so thats a plus. Easy install, took me less than 10 minutes. I dont feel much power gains. It does make a whistle sound when accelerating. When I installed this item which took maybe 30 minutes, I did notice lower end torque but not much of gains. For the price I’d say it’s worth it! A Little better acceleration, simple 15 min install, love the whistle when driving! Great for the price ! Real simple to install, even for the mechanically uninclined like myself. Only took about 25 min start to finish. Took it out for a test drive and had to concentrate to hear the so called whistle. It was very faint but there. So far I'm satisfied with the results. If you are going to buy this and install it have some carb cleaner and clean the inside of your throttle body, the install directions could be a bit better, not really any packing just in a baggie. This one is NOT CA (CARB) compliant, but that is funny cause an identical one is... So inconspicuous that no one would even notice it. Sounds like a waste gate on a blower... worth the money for that. Better throttle response and great sound, perfect price! I bought this, not expecting any real gains. I would give it 5 stars but honestly the whistle is kind of annoying to me, and I get tired of people who don't know cars asking if I'm boosted....sounds noting like a turbo, its kind of high pitched and I can hear it over my exhaust when I have the windows down. But on to the good parts. As I said, I didn't expect any real gains, and there aren't any. I did notice a little pickup in acceleration, nothing major. The best part is I'm getting almost 2 more miles per gallon. Use to get about 270-275 miles out of a tank, now I'm getting about 300. This is on a stock throttle body, with a BBK CAI, Pacesetter shorty headers and Pypes true dual conversion with X-pipe and muffler deletes, stock wheels and a mild 87 octane tune. Do not add this to the BBK or SR Performance throttle body, it will not work properly. This is for stock TB application. Good build quality, all needed parts included, easy to install. Makes a wonderful whine when stepping on the throttle but only when you want it too! 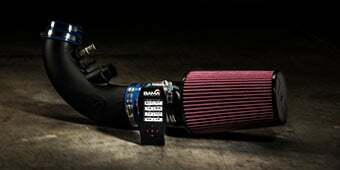 Bottom Line: SR TB spacer feeds the engine the air it needs to run healthy. Completely worth it. Full Review: This is a fun one to install, it's quick and easy and it works. There's no substantial difference in power and I'm not sure yet on MPG, but I can tell you that the engine loves it. I believe this mod is better for engine health than anything else. As soon as I installed it I listened to my Stallion and noticed a big difference. The vortex of air helps the engine get the air it needs for a healthier sounding idle and healthier sounding performance all the way to redline. The whistle is there, it's fairly quiet and I'm rather indifferent to it. This product is awesome. 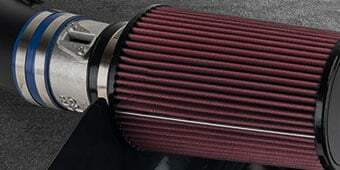 its super cheap, it improves fuel consumption, you can notice the difference between 1k RPMS'S and 2.5K RPM'S. Noticeable throttle response improvement, really love the whistle as well, sounds pretty cool. When I bought my 09 v6 Mustang I noticed it had the Airaid PowerAid Throttle Body Spacer under the hood. This is helped with throttle response and performance. I recently took my car in and someone jacked my spacer. I didn't even really notice it was gone. I decided to test out the SR Performance Throttle Body Spacer being that it was cheaper and had more reviews. It is the better of the two by and landslide. My cars performance feels a tiny bit better than with the other spacer. The main difference is that the SR spacer seems to help shifts at the top end where as the Airaid seemed to help just at the low end. Also the Airaid has a bland whistle which the car almost does on it own anyways. You cant really tell its there. The SR has a high pitched scream. It sounds like PSI is whistling out from under that hood. Some people may not like that sound but I love it. Its perfect. It whistles even into higher gears. I will definitely notice that this spacer is gone if anyone tries to steal it. Awesome product just as described. Thank you SR for all your products so far I have lowering springs SR and SR strut tower brace amazing performance I’m get all around and more mods to come but really thank you guys for the affordable prices for us stangs enthusiasts. Ps keep new parts coming please! Lol. better responce and performance plus full economy. the engine run better and at the same time it performe a better sound.